I want to get into track driving and aim to develop skills so I can drive at Nurburgring. When I recently did the 911 GT and 911 Turbo S Porsche Experience at Silverstone my instructor advised against buying a GT3 or Turbo S to learn in and suggested I cut my teeth in a Carrera base model. “You wouldn’t jump straight into a Harrier Jump Jet without learning in Cessna first” was the analogy. To this end I am looking at the 991.1 Carrera which is the lowest powered 911 I could find at 350 HP. I am avoiding the Carrera S models and I want a naturally aspirated engine avoiding turbos and low end torque. The 991.1 Carrera S has around 400 HP and the non S 991.2 Carrera, the same. I’d be looking at the following spec to ensure the car is best equiped for track driving. Porsche Active Suspension Management, PDK gearbox, Sport Chrono Package Plus, Sports Exhaust. 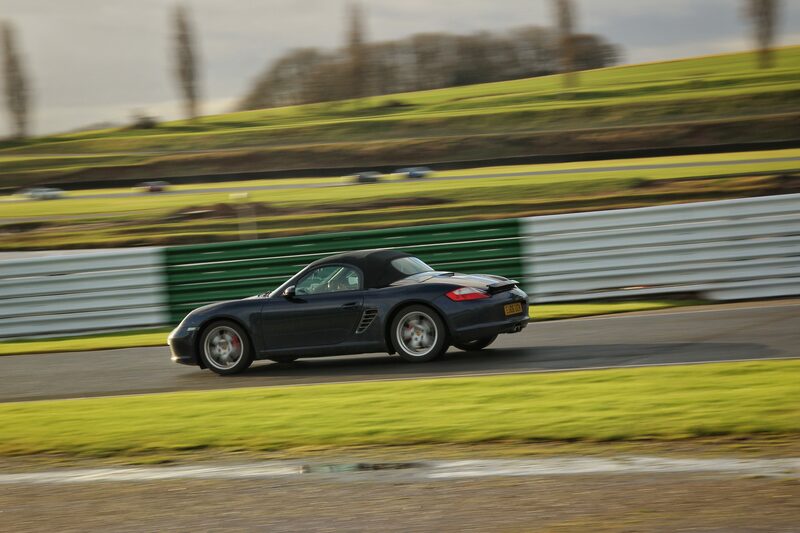 I’m not sure if Porsche Torque Vectoring is important. I am keen to do the five day Academy track programme with CATdriving and ultimately want to get myself a GT3 (Turbo S if off the shortlist). So what are your thoughs please? Does this approach make sense or should I learn in the car I will end up with, namely a GT3? Have I chosen the right car in terms of getting the lowest powered 911 around? Thanks in advance! Just get a caterham, will be miles more fun and educational. You also won't be so scared of gravel traps. Once the craft is learnt, a gt3 would be a fantastic road/track toy. You're obviously not short of a few bob so I'll pitch my suggestion accordingly. In your position I'd go for a Gen2 3.6 Carrera and strip out all the un-necessary for track bits. I'd then fit a roll cage, uprate the brakes and do as many UK track days as I could taking as much instruction as possible. ps. to 911uk. Keep us posted re what you decide. I am with T8, unless you are buying a 991 GT car I feel you would be better suited to learn in the more driver involved and less refined 997 model you can buy one considerably less than a 991 the track focussed mods are readily available as you would expect from a car thats 5 to 7 yrs old . If you dink it theres a ready supply of parts at the breakers or ebay. Buy a 997.2S mid 30k spend 10k making it track ready and bank the difference that a 991 would cost you and put that toward training ,trackdays and /or a gt3 when your ready. Dont think that newer is better as thats very much not the case with Porsche 911s and many many guys would tell you that the even less refined and more driver focused 996 would be an even better option to cut your cloth in. Thank you so much for your replies! Really good advice and armed with that, I can now research the slightly older models. I’m a couple of months away from being able to get a car and the cheaper the better given I’m a complete novice, albeit with a lot of sim experience. I’ll also look into the finding good garages that can carry out the track work. I cut my teeth in an MX5 which is a fantastic little chassis. Being under powered it taught me how to get the car set up to my driving style and how to carry speed through the apex. On many occasions, I would give the hurry to to much more powerful cars in the right sections of circuits. It's a great car for feel, much like a caterham. You know exactly what's going on underneath you. What ever you choose, you'll have a blast learning. You will learn a lot more in a lighter more focussed car and be surprised what you can get out of a stripped out 996 3.4 with a good track suspension set up, it'll run rings around a 991 Carrera. You just won't look rich on track which for some it is all about having the latest car, personal preference. A £3k e36 328i which is already track ready. Learn to drive without being scared of binning it, then go onto your car of choice. You do not want to look like the Japanese corporate golfer. Agreed you may not look super rich, but you certainly will look like you have come to seriously Race , which the ave guy in a brand new GT3RS doesn't look like and mostly doesn't drive like .There are lots of vids on you tube showing guys in older 911s flying past the new GT3RS whos only there to tick the box that says he's done the ring etc. What are you looking to get out of track driving? Are you looking to lap quickly? Or do you wish to learn car craft? If the latter, you will be wanting a clutch pedal and a manual gearbox and Rear wheel drive - In addition the less driver aids you have the better, this will allow you to learn what is going on with the car, as oppose to the car fixing mistakes without your knowledge and giving a false sense of security. The more analog the more you will learn and more rewarding the experience, as already touched upon a Caterham is an awesome tool to learn in with zero driver aids, not even ABS! If cash is no object, get a 996 GT3, its as analog as modern 911's come, if it is look for a C2 manual and add a few choice upgrades. If you just want to lap quickly, get anything with a semi-auto gearbox, 350+bhp and a truckload of driver aids. Interesting idea. I would have thought that - with a decent budget - you'd be best off in a simple, cheap and track prepared car, with buckets, harnesses, cage, semi-slicks, spare rims and loads of pads and discs. And a friendly motorsport garage to provide support. Not to mention, a trailer and a Transit full of spares. As such, the older BMWs, MX5s, and Caterhams all make sense. In short, you'll need to be prepared to crash it, get it home, get it fixed, and not regret it. You could then migrate to a faster, ex-race car, maybe a Cup car or some such, and enjoy your trackery that way. Even more great comments! Thanks very much for taking the time to share your thoughts on this. I totally get the idea of the Caterham or as analogue a 911 as its posible to get. What I think will work for me is driving a car which will feel as close to a GT3 as possible but, for obvious reasons, remains low powered. The earlier comments suggesting a 997 Carrera have inspired me to look closer into that option and, I have to say, it is really appealing. The idea of taking a GEN2 and having it track preparred feels like the price/performance sweet spot. By performance, I don’t mean speed, more saftey and handling upgrades. So this car would be a stepping stone and once I feel I’ve progressed enough with it, I’d be looking to move up to the GT3. In terms of track driving, I want to be able to drive around a track quickly and in control. I’d like to challenge myself by trying to master a rear wheeled 911. Where this journey takes me, who knows. I am very competitive and if I was any good, I’d deffinately be up for amateur racing. I’m late 40s and don’t aspire to taking it much beyond that. It’s also entirely possible that a track prepared 997 could satisfy my track needs enough and I decide a GT3 for track isn’t necessary. But really, the enjoyment of the act of driving at the limits and potentially developing to a skill level where the car becomes an extention of yourself is what brings me here. Jon , IMO your starting to head in the right direction and narrow the search RPM are very good and have a good rep on here , there are also others around as well. Heres something to chew over rather than get a non S car how about get an S car have it remapped and do the opposite of most and back off the performance . knowing its there to map back in as your confidence grows and you start to want a bit more from the car. the same theory applies to the PASM have a conversation with DSC in the states about their PASM upgrade module. get them to tune it to your needs again knowing you can get them to send via the web new settings for track , road, novice track etc etc. if you look at things like that it means you won't out grow the car so quickly as you would be able to dial in mods and changes as your ready for them. Also read as much as you can on here about engine mounts, transmission mounts, gear cables etc etc. the list goes on lol. But good to hear your narrowing things down and moving closer.